The Rushen61 tub package offers a quite modern appearance. Whether in a minimalist, totally contemporary home or an eclectic more vintage home, this beautiful tub package will be at home. To enhance the exterior even further, we have applied our popular aged chrome finish. You may choose light or dark aged chrome to suit your needs. 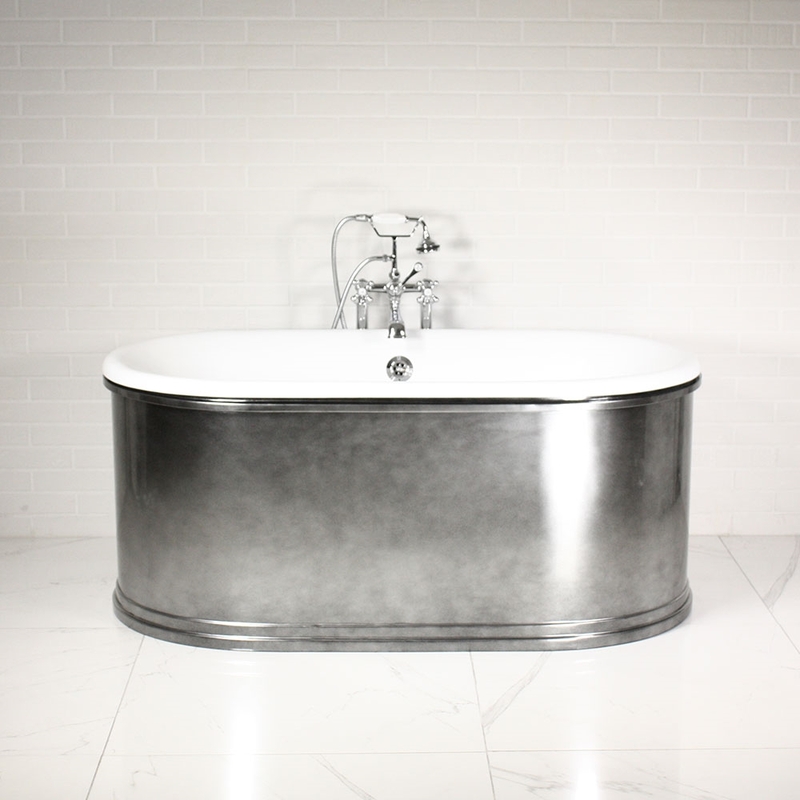 A good sized small tub with excellent good bathing space for its' size, the Rushen61 has a totally handmade exterior shell. 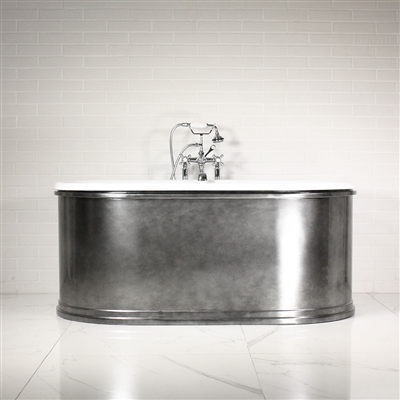 While all the lines on this tub may not be 100% perfect, slight distortions or unevenness simply add to the very nature of an exquisitely handmade product, made especially for you. 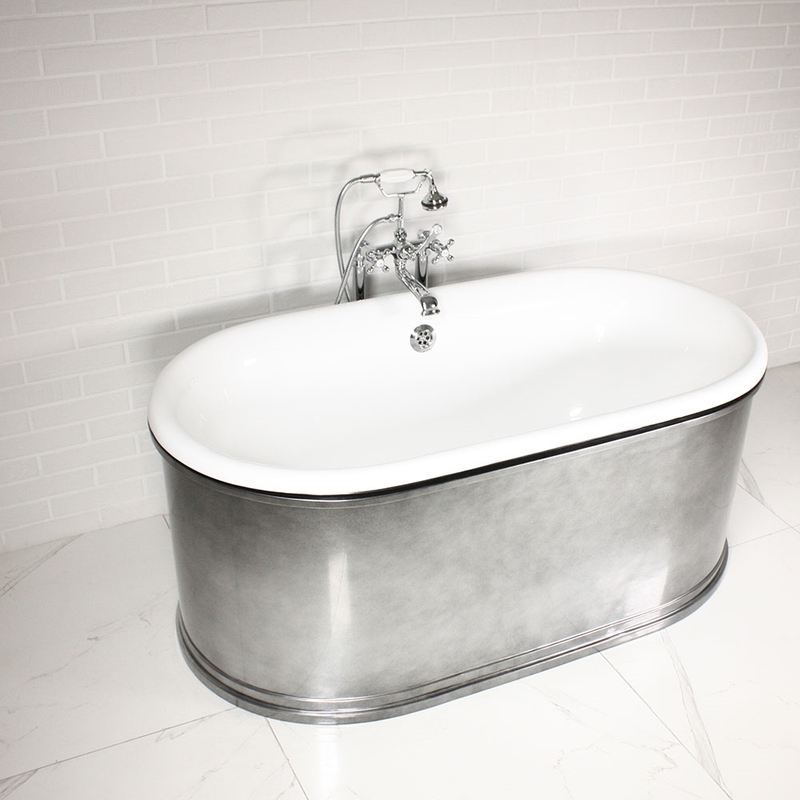 The outer shell of the Rushen is steel with fully welded profiles of flat bars and square bars used to produce this fabulously exclusive bathtub. After initial preparation, the exterior shell is coated with an epoxy primer before receiving the aged chrome finish applied to it. Once the aged chrome finish has been applied several coats of high grade lacquer is applied to preserve the finish for life. Just a wipe with a soft cloth will remove most marks. The interior of the tub is hand applied enamel. Both the tub interior and exterior are hand finished, so no surface is perfectly flat or 100% even. Each Penhaglion Hand Finished tub is one of a kind.